“This is a huge moment for our festival — and for Sudbury,” artistic director Lisa O’Connell said in a release. 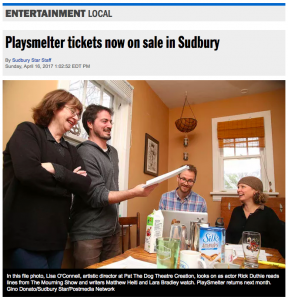 “Two full productions, three new works in process – and all of it created by Northern playwrights. We’re thrilled to share this with the audience.” — Read full article here.